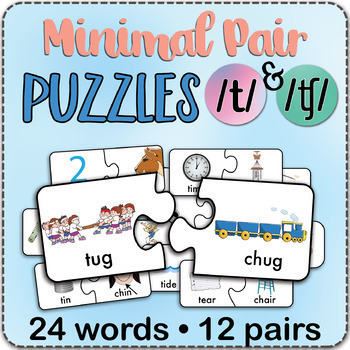 Minimal Pairs Puzzles for t/ch - Fun Speech Therapy Activity! 12 minimal pairs of initial /t/ and 'ch' words are converted into 24 puzzle pieces. 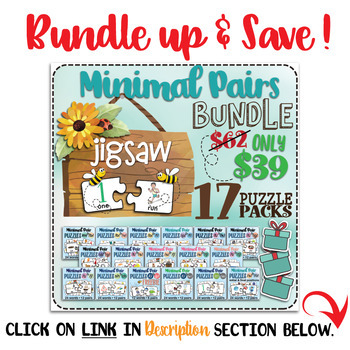 Each puzzle design is unique and only the paired words will go together. 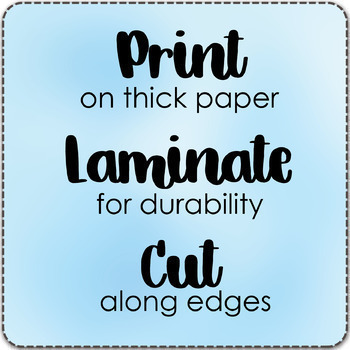 This PDF contains high-quality graphics, and all pictures are clearly labeled.